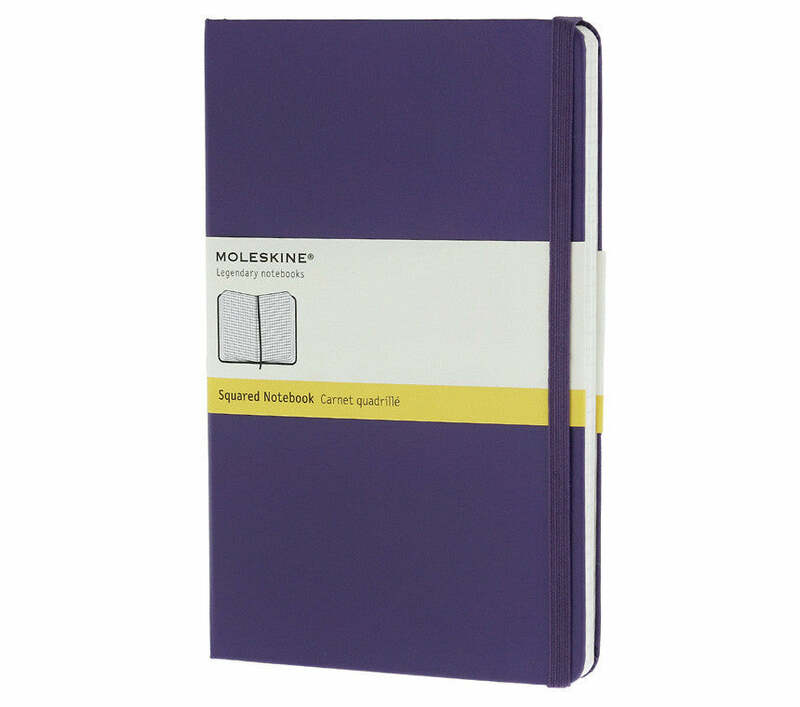 Moleskine brings more color to its notebooks. This version of the classic Large Squared notebook is perfect for writings, thoughts and passing notes. The color-coded bands reveal the notebook's layout. The back of the paper banderole can be saved for later use. The ribbon, bookmark and expandable inner pocket match the cover color.